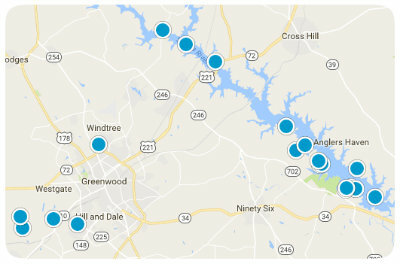 Located on the Northern end of Lake Greenwood, Eagles Harbor is a gated community of 218 home sites. There is a community beach, launch ramp and gazebo common area. As well as boat slip rentals available for interior home owners. Eagles Harbor is a wooded community, where nature is on prime display. Many lots in this community are one acre or larger. 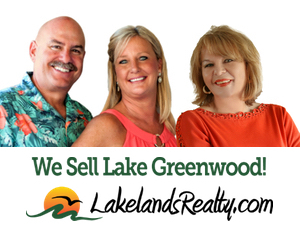 The lots in Eagles Harbor are more affordable than some of the other private communities on the Greenwood side of the lake. RV and boat storage available. Public water is available in Eagles Harbor.